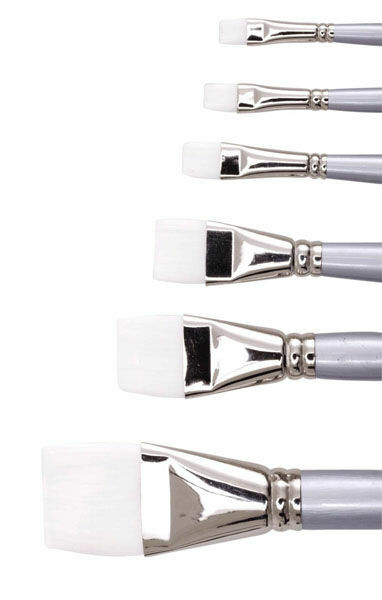 Find a wide choice of soft, flexible brushes ideal for water colour painting. 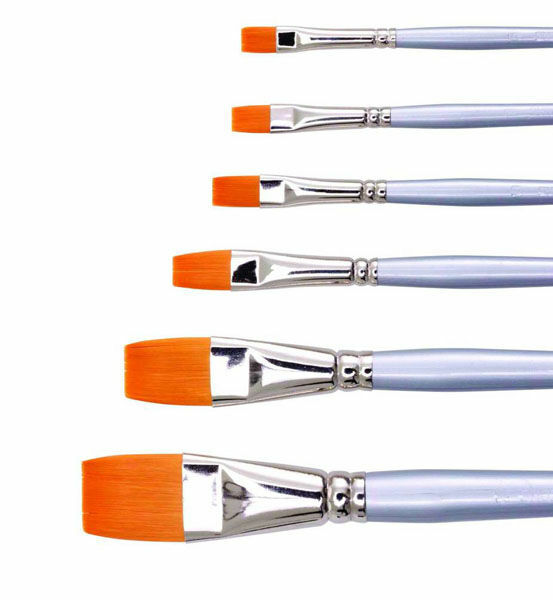 Features the finest of water colour brushes including Winsor & Newton Series 7 Sable Brushes, Cotman Water Colour Brushes and Sceptre Gold II Brushes. Goat hair is a soft natural hair which has great absorbency and flexibility, ideal for Water Colour. Synthetic hair filaments are an excellent alternative to natural hair, ideal for Acrylic, Water Colour, Poster Colour, Gouache and Tempera. 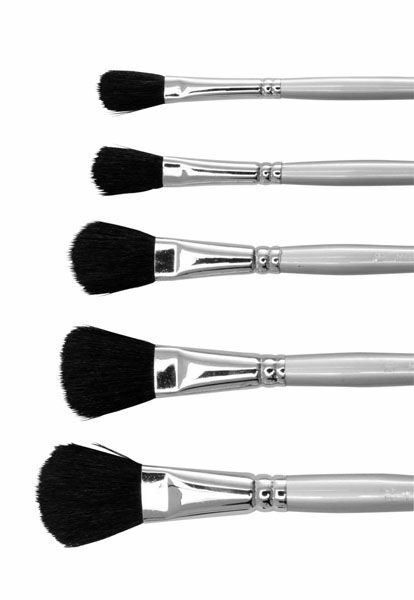 Bristle types include Angle, Filbert, Long Liner, Round and Short Flat. 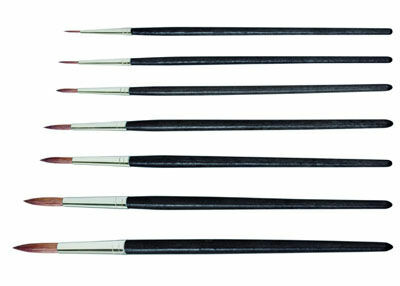 Pony / Goat fillaments are natural hairs ideal for use with Water Colour, Poster Colour, Gouache and Tempera. 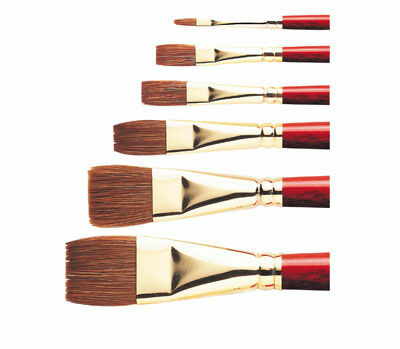 Red Sable is the most valuable hair used in artist brushes, ideal for use with Oil and Water Colour. Bristle types include Long Liner, Round and Short Flat. Synthetic hair filaments are an excellent alternative to natural hair, ideal for Water Colour, Acrylic and Gouache Paints as well as mixed media. 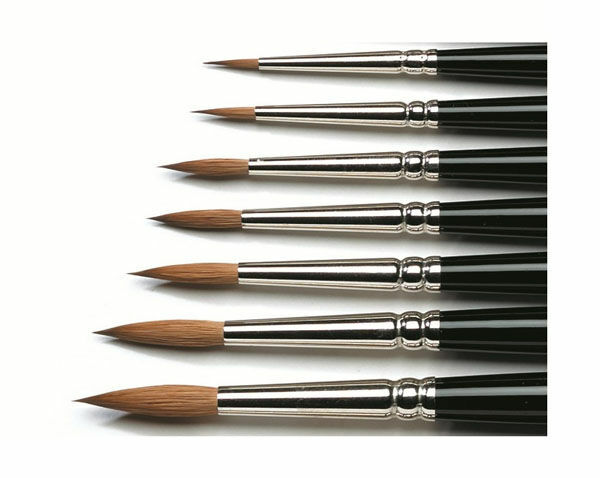 Bristle types include Angle, Dagger, Fan, Filbert, Long Flat, Long Liner, Round, Short Liner and Short Flat. 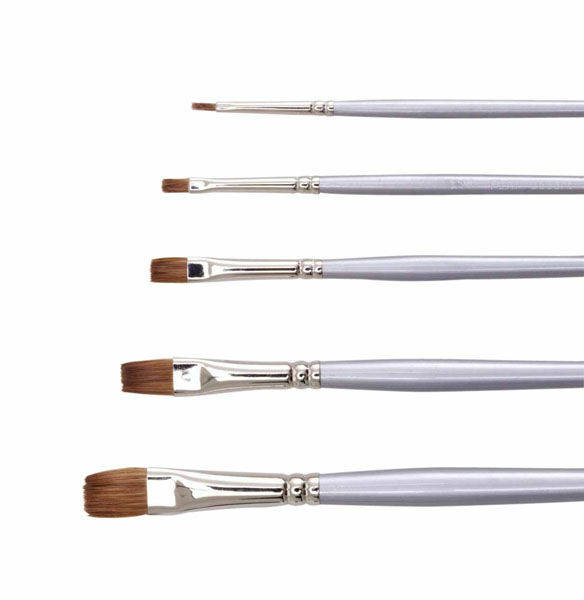 The Artists' Water Colour Sable brush is made of quality Kolinsky sable hair with Birchwood handles and seamless nickel ferrules put together by hand. 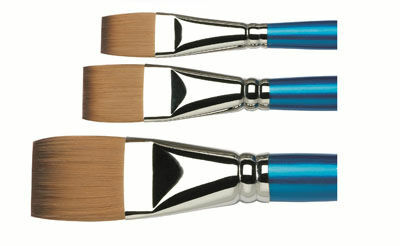 Cotman brushes are a range of pure synthetic water colour brushes of the highest quality. By blending fibres of differing thickness, the three most important qualities sought after by artists' is acheived. 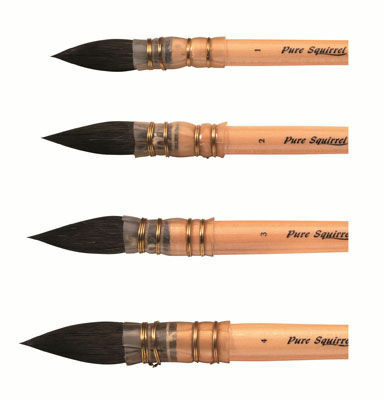 Pure Squirrel Pointed Wash brushes are made from the finest quality Pure Russian Blue Squirrel hair, which is ideal for water colour washes. 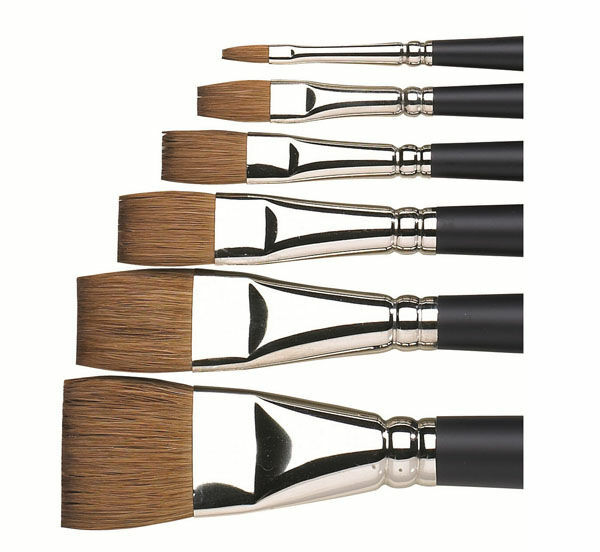 A brush that's made from a mix of pure sable and synthetic fibres, giving you a performance that's close to sable at a price closer to synthetic. They feature seamless gold plated nickel ferrules and vibrant terracotta stained handles. 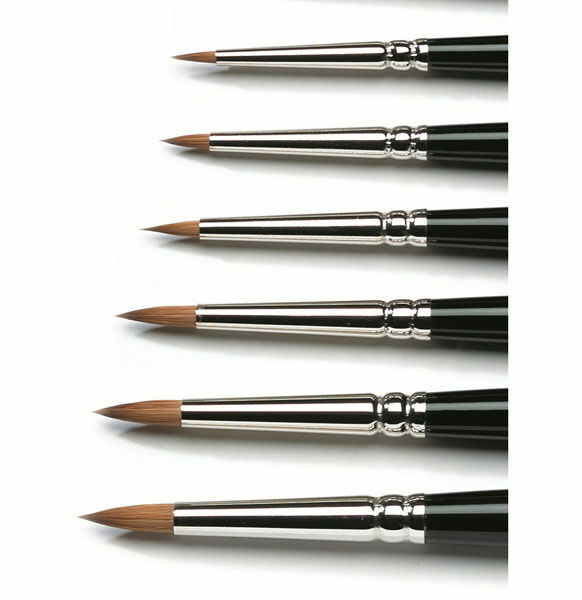 Series 7 is the world’s finest watercolour brush manufactured from the finest pure Kolinsky sable hair in rust-proof, seamless nickel plated ferrules with black polished handles. 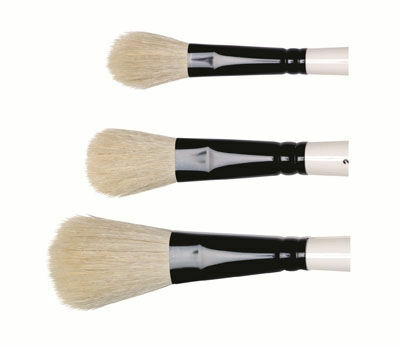 A brush made from a variety of natural hairs, providing excellent colour carrying capacity and flow control.